Vesta is the plant for plants centralized dust suction for homes, offices, hotels and premises up to 500 m2. It can be easily installed in storage rooms, technical rooms, balconies or garages. It is very practical to use since there are no electrical wires to connect or bulky bin to be dragged. 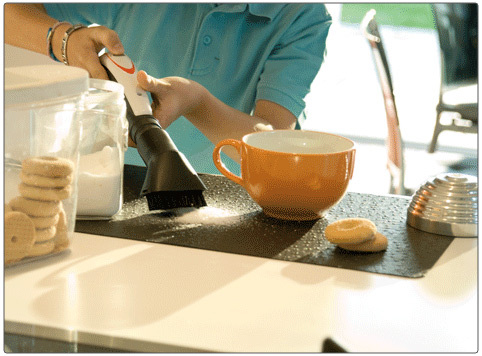 Complete the system with a range of accessories that make quick and effective cleaning operations on any surface. Dust and dirt are sucked through the under-drainage pipeline network and conveyed to the collecting tank; On the contrary, the micropumps are ejected outward through the air vent of the control unit. 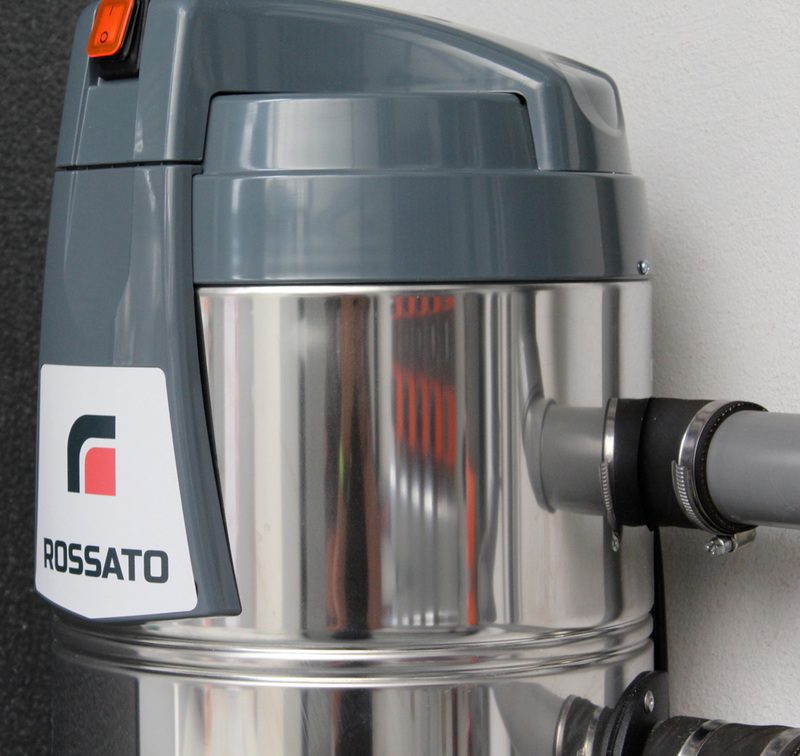 The Vesta system consists of a network of tubes to install undercut and connect to wall or skirting suction sockets and a suction unit located in a separate room. The suction system is activated by inserting the pipe into one of the sockets. The tube is lightweight and flexible and allows you to move freely within the premises. Powders are conveyed to the aspiration plant, avoiding the recirculation of bacteria and micropumps in an environment that is a major cause of allergies and respiratory disturbances. The centralized Vesta vacuum system is particularly silent. All components are designed and manufactured to minimize the noise during operation, so cleaning can be carried out at any time of the day without disturbing the tranquility of the occupants. In addition, the installation flexibility allows you to position the aspiration central station away from the living areas and where the cleaning operations are carried out. 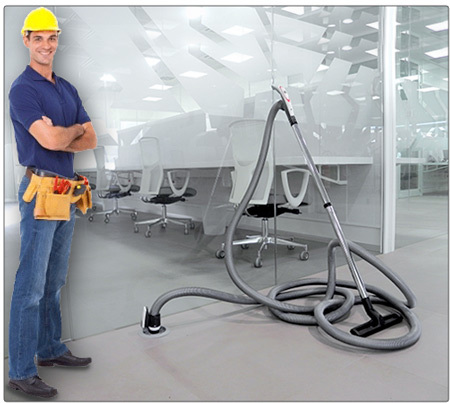 Vesta's central vacuum cleaner is a highly hygienic cleaning system for environments. With Vesta the sucked dust is conveyed into the central tank, while the dangerous micropulveries are ejected all through the air streams. With conventional vacuum cleaners, micropumps containing mites, pollen and bacteria are re-entered in the room you are cleaning. 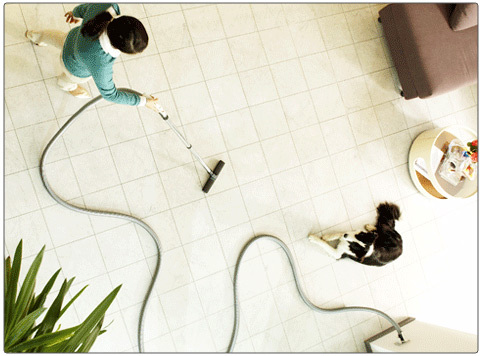 For this reason with Vesta the level of cleaning is higher than that of any other traditional vacuum cleaner. 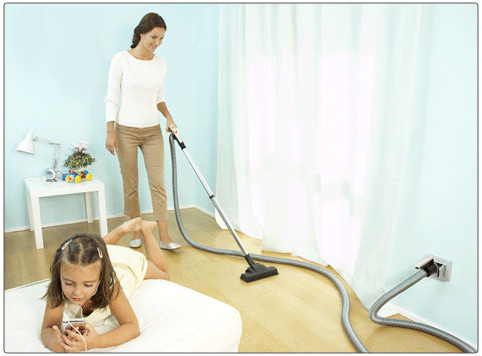 The main advantage of Vesta's centralized vacuum cleaner is its practicality and ease of use. With a simple hose and lightweight hose it is free to clean very large environments with minimal effort. There are no electrical wires to connect or bulky cans to drag. In addition, the absence of electrical cables reduces the risk of accidents. Maintenance of the device is simple and quick as it is sufficient to empty the dust container and clean the filter periodically. The wide range of accessories gives Vesta a great versatility of use and makes it an appropriate solution for different cleaning needs in all environments. Brushes are available for different surfaces such as smooth floors, parquet, carpets, upholstery and carpets. Moreover, the accessories allow to clean clothes, radiators, armchairs, carpet upholstery, furniture and all corners of the house where the traditional brush does not come. 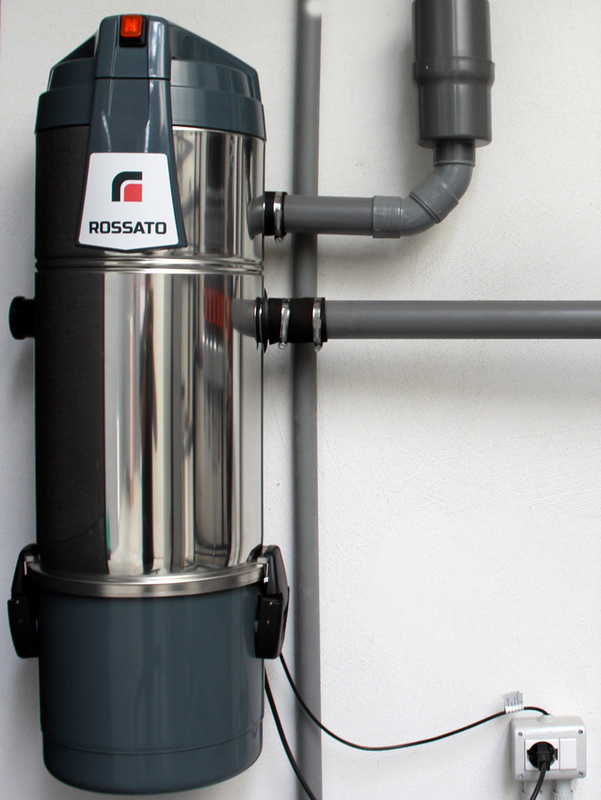 Rossato with extensive plant engineering expertise, has added in its range of products the central aspiration system to further enhance living comfort and offer an added solution in the integrated system. With the central vacuum cleaner system, installers, designers and builders can also benefit from providing an innovative and easy solution for customers in new buildings or renovations. 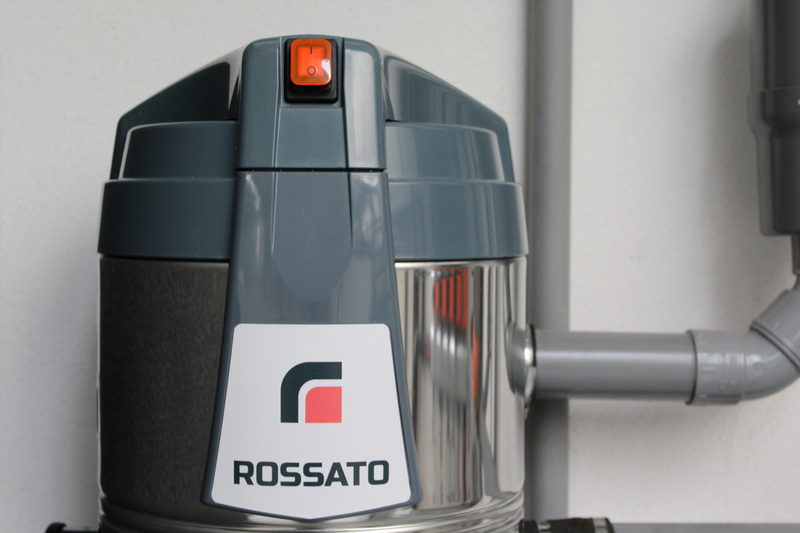 Rossato stands out as interlocutor only to simplify the work of designers and installers; Qualified service centers offer after-sales support to the end customer of the whole system. 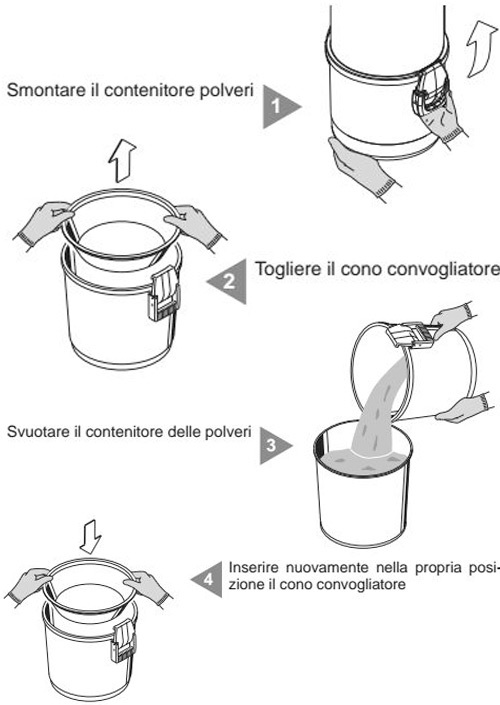 The construction of a central aspiration plant is under construction or renovation of the building, in conjunction with the installation and preparation of the other installations, when the traces are made in the walls, before the floor screed, gluing the Fittings with the appropriate glue, and setting up the central startup electrical connection. 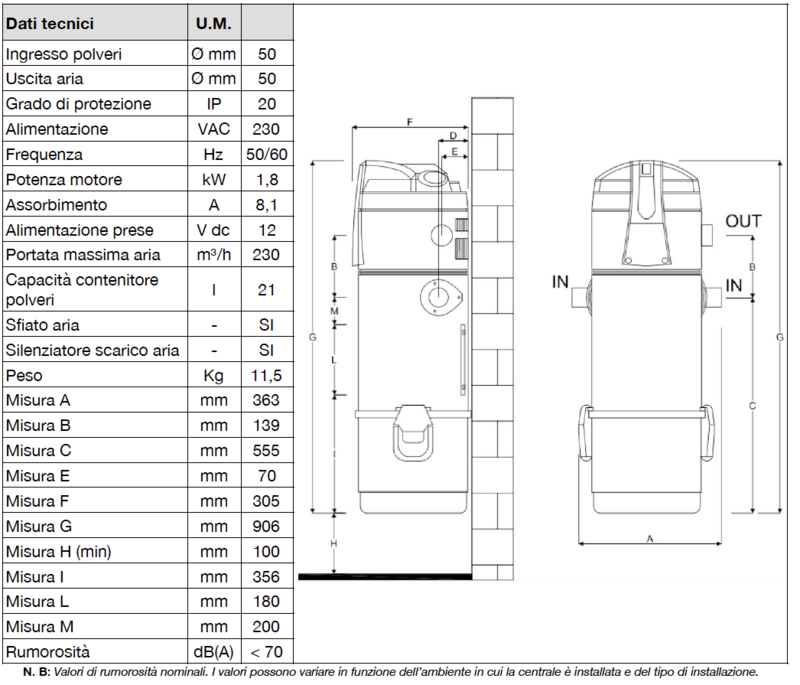 The positioning of the suction sockets is defined by the hose radius of action: for example, with a standard 7 meter tube it is possible to cover a surface of approximately 35 mq. It is also advisable to always keep in mind the presence of obstacles such as walls, furniture, or appliances that could reduce the range of the hose. The use of an aspiration plant presupposes the existence of an aspiration tubing network carried out by qualified personnel who have already assessed the best placement. ● Provide free and well-lit space around the control panel to make maintenance and repair work easier. 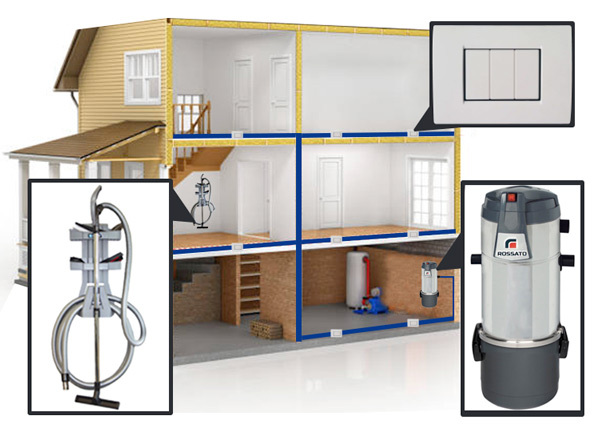 When, for particular installation needs, the suction unit is located on the top floor of the building with respect to the pipe network (attic, attic, etc. 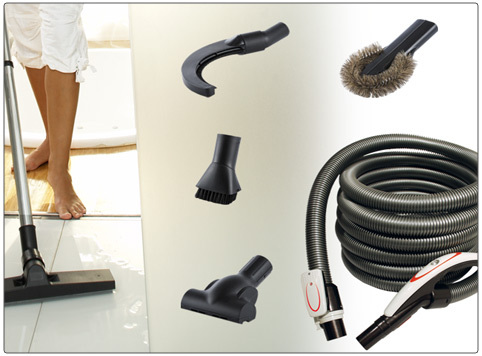 ), it is necessary to use a superior suction unit above the actual cleaning surface. 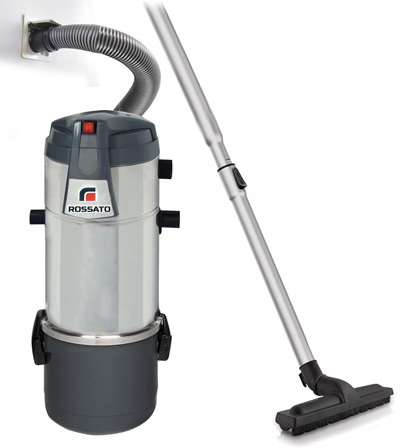 Vesta is a central vacuum cleaner designed exclusively to extract domestic dust, tiny solid bodies and dry materials. The intended use is related to the domestic and civil use of the central vacuum cleaner, connected to a tubular duct pipe made of PVC wall masonry and powered by the normal domestic power grid. It is always advisable to always use a suitable mask to hold the dusts dispersed in the airy always wear a pair of latex gloves to protect the epidermis from the hands. Turn off the suction unit by switching on the ON / OFF button, and follow the procedure. 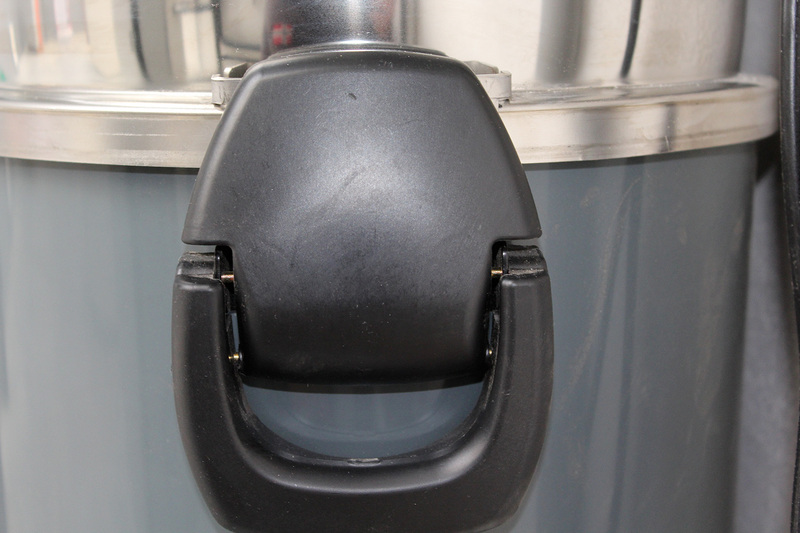 Refit the dust container in its seat under the suction unit and close the closing levers. Turn on the power switch by turning on the ON / OFF button. Finally remember to pay attention when emptying the container: if there is too much dust, be careful not to throw the cone cone. Therefore, make sure that the cone conveyor is always present and correctly positioned in its seat inside the container.